The Royal Navy log-books published by naval-history.net have been transcribed by the Old Weather project. Old Weather transcribes weather observations made by ships in the past to improve climate prediction models. Silvia's edited logs of HMS Columbella, with six maps, have been published today. The edited logs of HMS Woodlark have been published, together with four maps. Our thanks, as usual, to editor and mapmaker, Paul (China station specialist). Another edited China station log and map from Paul: HMS Rosario. Three in a row for Paul's China station ships: HMS Otter, with one entertaining map, has been published. The edited logs of HMS Victorian (part 1 - 1914-1916) have been published, with four maps (made by Caro). Many thanks to editor Stuart, whose father joined Victorian in 1917. Rosemary's edited logs of HMS Edinburgh Castle have been published, together with nine maps created by Maikel. Caro's edit of seaplane carrier HMS Raven II has been published, with four maps. The edited logs of HMS Canterbury have been published. Many thanks to editor, mapmaker and publisher, Maikel. Edited log #3 in June! The edited logs of HMS Jed have been published. Our thanks to editor and mapmaker, Kay. Ik heb je topic even in het zonnetje gezet op Niemandsland, JP. Leek me wel verdiend. Leuk om te horen dat het zo gewaardeerd wordt. The complete edited logs of survey sloop HMS Merlin (1) have been published. Our thanks to editor Carolyn who has added the logs from 1920 to her original edit. Navigation edits for both previously published and added logs, plus six maps, have been brought to you by your friendly publishing team, Caro and Maikel. The edited logs of HMS Perth, with three maps, have been published. Our thanks to editor Keith. Today we have the complete, edited logs of HMS Highflyer, 1913-18, 1920-21. Editor Pat has added the logs from 1913-1917 to those already published. Caro supplied the navigation edit for 1913-1917. I think this will be the last one for June. The edited logs of HMS Moldavia, with four maps, have been published. Moldavia's travels in British waters and on Northern Patrol were a change of scene for editor and mapmaker Paul. Een probleem met mijn account weerhield mij een tijdje van toegang tot het forum, maar het werkt weer. Deze twee publicaties zijn er in de tussentijd gedaan. The edited logs of HMS Calgarian, illustrated by four maps, have been published. Many thanks to editor and mapmaker, Kay. The edited logs of HMS Iphigenia have been published. Many thanks to editor and mapmaker, Janet. The edited logs of HMS Whiting, with five maps, have been published. Thanks as usual to editor and mapmaker, Paul. This marks the 250th published edit of our Royal Navy logs (some are not yet fully edited). The edited logs of HMS Galatea, including the Second Battle of Heligoland Bight, have been published. Thanks to editor and creator of four maps, Janet. The edited logs of HMS Isis, with four maps, were published today. Our thanks to editor and mapmaker, Kay. Well done. Een pluim voor dit ware monnikenwerk (dit laatste in de positieve betekenis!). We zijn altijd op zoek naar nieuwe monniken, dus als je je geroepen voelt. Geldt natuurlijk ook voor anderen. The edited logs of HMS Essex, with three maps, have been published. Many thanks to editor Hansjörg. John's edited logs of HMS Theseus have been published, with one map. John has added plenty of historical detail. Well done. The edited logs of HMS St George, with six maps, have been published. Grazie mille to editor and mapmaker, Silvia. The logs of HMS Moorhen, revised and completed by Paul with the addition of seven maps, have been published. Our thanks to editor Robert and editor and mapmaker Paul. We remember with affection and gratitude the founder of naval-history.net, Gordon Smith, who died one year ago today. The edited logs of HMS Caronia, with three maps, have been published. Also, have a look at the photo album of Harry Russell, Caronia's executive chef. Photos courtesy of his great-granddaughter Eleanor Williams, one of the original transcribers of the log-books. Keith's edited logs of HMS Fox, 1915-1919, have been added to the logs already published. There are now eight maps (two revised, six new) for the complete logs. We've managed to fit in the publication of one more completed log before the end of the year. Kay's edited logs, 1917-1918, of HMS Victorian have been added to the published logs edited by Stuart. The complete logs, 1914-1918, are now illustrated by maps for each year, plus a full-voyage map. Here we go with the first edit of the new year! The edited logs of HMS Cumberland, with 10 maps, were published today. Many thanks to editor and mapmaker Howard. Today, the edited logs of HMS Marmora were published, together with six maps (made by Caro). Many thanks to editor Rosemary! The edited logs of HMS Alert have been published, with four maps. Thanks to Danny and Paul who shared the editing duties, while Paul and Maikel shared the mapmaking duties. The edited logs of HMS Ceres have been published, together with four maps. Many thanks to editor and mapmaker, Janet L.
Paul's edited logs, illustrated by five maps, of HMS Aphis have been published. Paul found a pic of Aphis too. The over-exposed scans of pencil-written pages, some taken from deck logs, must have been hard work for editor and transcribers. After a long (unplanned) break, we are back in business with the RN logs. The edited logs of HMS City of London, illustrated by three fine maps, were published today. We've published the edited logs of HMS Leviathan, with five maps (made by Caro), today. Many thanks to editor Dean. Part 1 of the edited logs of HMS Yarmouth, 1913 to 1915, together with three maps, have been published. Many thanks to editor and mapmaker, Keith. Thanks also to Silvia for helping with the indecipherables. 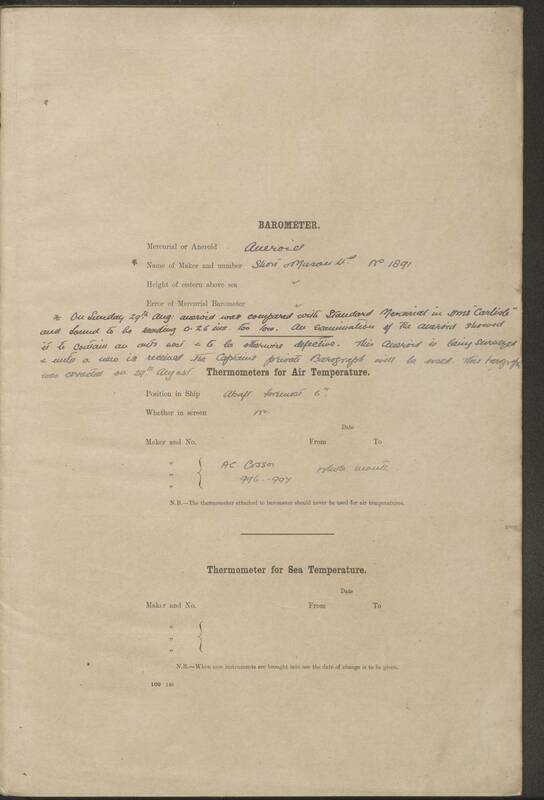 Today the edited logs of HMS Hannibal, with two maps by Caro, have been published. Our thanks to retiring editor Pat for this log and the others completed over the years. Well done. Thanks also to the editorial hive-mind for helping out with the many difficulties this log presented! Kay has updated the logs of HMS Orotava and added three maps. HMS Europa has been published, with two maps and one nice painting (see 13 June 1915). The edited logs of HMS Diana have been published, together with four maps. Many thanks to editor Rosemary, a long journey, with difficult handwriting. Today we've published the edited logs of HMS Tarantula, together with six maps and a new header photo of the lovely Tarantula. Many thanks to editor and mapmaker, Paul; another China station ship complete. Granted, the logs only start after the war had finished, but it's interesting nonetheless. The ship is known to most people at Old Weather for the ant's nest in the barometer . Silvia's edited logs of HMS Sirius, with an overview map, have been published. We have published the logs of HMS Grafton. Big thanks to Su for editing these notoriously badly written logs and for making eight maps. Thnx weer JP, begint al een mooi dossier te worden! Wat betreft WW1 zijn er niet al te veel schepen meer te gaan. We streven er naar om ze gereed te hebben voor 11 november, 100 jaar na het einde van de oorlog. Daarna komen er nog wel wat schepen bij, maar die beslaan allemaal de periode na de oorlog. Kay has updated her edited logs of HMS Humber and added three maps. The edited logs of HMS Blenheim, with one map, have been published. Many thanks to editor and mapmaker Helen, who deserves a medal for persevering with the writing in this log! The logs of HMS Berwick, with one map, edited by Helen (again), have been published. Next! The edited logs of HMS Jessamine, with three maps, have been published. Our thanks to editor and mapmaker, Kay, who also had to deal with some difficult writing.